Hess Corporation deals in the exploration and production of natural gas and shale oil. They operate not only onshore, but offshore as well as they produce and supply natural gas to Thailand and Peninsular Malaysia. The company was founded in 1933 by Leon Hess, who at age 19, started delivering fuel oils to residents of Asbury Park, New Jersey using an old 615-gallon oil truck he bought. The business eventually grew into the company it is today. Currently ranked at #1,187 on Forbes’ Global 2000 and #394 on the Fortune 500 list, Hess Corporation has over 2,300 employees that help them achieve the status they have today. The company has also received a number of awards throughout the years, including The Rocky Mountain Oil & Gas Award for Excellence in Corporate Social Responsibility in 2016. The company offers a competitive salary and benefits package which includes a Cash Accumulation Formula pension plan (for newer employees) and a standard pension plan (for older employees), basic life insurance, medical and dental plans, and paid vacation days that increase over the years. Because of its offshore operations, the company has a very multi-cultural workforce. Employees also enjoy working here because aside from the productive work environment, the company provides additional training to advance their employees knowledge and skills. 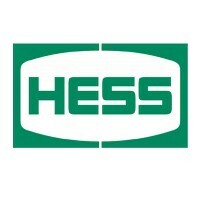 How old do you have to be to work at Hess Corporation? You have to be at least 18 years old to be able to work for this company. The level of education required would depend on the position one is applying for. Intern positions are also available for college students. Finance Intern: This 12-week internship provides extensive exposure in the fields of finance, accounting, and some related IT processes. Finance interns are expected to assist with making sure that the Sarbanes-Oxley (SOX) requirements are properly complied with. Human Resources Intern: The intern will be able to learn more about talent acquisition during this 12-week internship. They will be involved in projects that will impact the Talent Acquisition, Onboarding, and Talent Management aspects of human resources management. Reliability Operator: The job of a Reliability Operator is to perform equipment surveillance among many others. They also perform autonomous maintenance and operation of the equipment and should understand the process and flow of operations. Records Administrator: The Records Administrator assists with the logistics and registration for training sessions in the location they are assigned to. They also assist with the development and planning of operational training in their location. Mechanic: The mechanic is in charge of inspecting, repairing, and maintaining all equipment (i.e. : generators, compressors, engines, and pumps). They are also asked to provide input and contribute to RCA processes. Planning Specialist: A Planning Specialist oversees all Corrective Maintenance Planners for both Midstream and Upstream organizations. They also manage Planning KPI’s, coaching, training, and driving continuous improvement with regards to Delivery and Quality within planning. I&E Technician: An I&E Technician is in charge of configuring and maintaining electronic equipment (i.e. : PLC’s, Transmitters, Operator Interface units, Control Valves, etc…). They also handle the maintenance of fiber and wire Ethernet SCADA systems, as well as radio systems. Operational Technology Network Engineer: The job of an Operational Technology (OT) Network Engineer/Network Architect includes designing and implementing available SCADA networks. They are also involved in designing PCN network projects, and the installation as well as the configuration of core network hardware within the PCN. Operational Technology Server Administrator: An OT Server Administrator is involved in designing, installing, administering, and optimizing company servers and other components. They will also assist in supervising the safety, integrity, and physical security of the server farm/data center. Administrative Assistant: An Administrative Assistant’s job constantly evolves as they provide support for the Office Administrator. Their tasks include front desk duties (answering phones, transferring calls, and greeting guests among many others). They also assist with facilities management tasks. Applying for a job at Hess Corporation can be done online. Interested applicants can just log on to the company’s website and browse through their available jobs and then click on the “Apply Now” button. Aside from applying online at the company’s website, people can also check with accredited staffing agencies if they have any job openings from this company. If you’re applying through the company’s website, you can apply using your LinkedIn and Facebook profiles. This will enter you in their Talent Community, making the application process easier. When writing your resume, keep it short and concise. Make sure that what is written in it reflects your knowledge and experience in the field/job you are applying for. During the interview, don’t hesitate to ask questions. Do some research on the company and the job and prepare your questions ahead of time. This shows that you are really interested in the job. Hess Corporation believes in letting their employees grow organically and move up the ladder step by step. Employees are encouraged to have a positive attitude towards challenges. Also, management is very supportive and provide a safe environment for its employees. The company recently participated in the Credit Suisse 23rd Annual Energy Summit. The company’s CEO, John Hess, delivered a presentation regarding the company’s projections and predictions regarding future financial performance. This company is known for a lot of things in the field of energy production. They are known primarily for exploration, production, and distribution of natural gas and shale oil. They also have a chain of gas stations and they also manufacture a line of toy trucks bearing the Hess name. Social Responsibility is ingrained in the way the company does business. In fact, they won the 2016 Excellence in Corporate Social Responsibility from the The Rocky Mountain Oil & Gas Awards. They engage with stakeholders and communities where they do business in a proactive manner to be able to manage certain social risks and create opportunities within the communities. 1 How old do you have to be to work at Hess Corporation?